Captain Ed Thompson welcomes you aboard the "REEL RASCAL II" fishing from the port of Ludington, Michigan. Ludington is considered one of Michigan's "top" ports for trophy catches of salmon and trout. 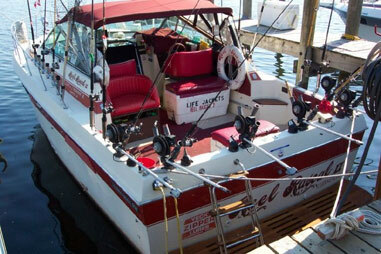 The Reel Rascal II ready for battle! in a 50M sq ft Bldg.